Greetings Dies R Us friends. I hate making sympathy cards as it's never nice to have to say goodbye to someone. Here is a quick and simple card which is elegant and classic. After cutting the papers to size the edge of the designer paper has been sponged with Vintage Photo Distress Ink and distressed before sewing around the edges. After attaching the die cuts, I've finished it off with a simple sentiment and also by adding some Liquid Pearls to give it a bit of a lift. Dies R Us has also introduced a great loyalty rewards program too. For every dollar spent 1 point is earned which can be redeemed later. All details about the program can be found here. Alicia, this is a beautiful sympathy card! I've been without access to internet & just got back to posting. 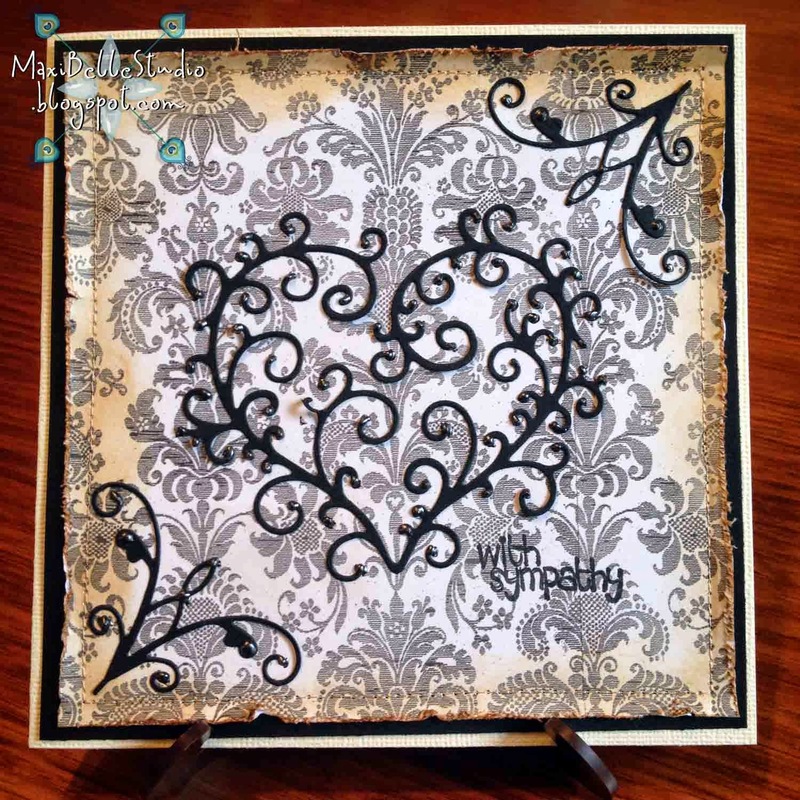 Beautiful paper & dies! Simple yet gorgeous! Great job Alicia!